Want to be hired by Tutor? Do you have what it takes to be a good tutor and academic coach? Are you interested in helping students succeed and bring them to the next level? You don't have to be a teacher to be a great tutor. It's all about your love of the subject you're tutoring and your ability to convey that to your students. 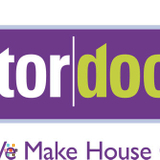 At Tutor Doctor, we provide one on one in home tutoring to students. We are looking for qualified applicants (post-secondary students and above) to tutor in ALL subjects. This includes Kindergarten to Grade 12 in all subjects - Math, English, Social Studies, Science, Chemistry, Physics and Biology. Your resume must be included in your email application for consideration. Please note the subject areas and ages you are interested in tutoring. We match tutors to students based on tutor qualifications, skills, and personality. This is a part-time, contract position and income is based on qualifications.